Will Australia make an honest woman of me? Australia swelled with even more national pride than normal last weekend in celebration of Australia Day. With January 26 being a Sunday, Monday was declared a public holiday and Australia basked (read 'melted') in the sunshine for a long weekend. Australia Day is widely promoted as an opportunity to appreciate the much-celebrated privilege of living in Australia, to understand and respect cultural differences and take pride in the country’s multicultural society. As a colleague put it however, it is also a chance to 'get your bogan on’ and go around shouting “Aussie, Aussie, Aussie!” while sculling beer. 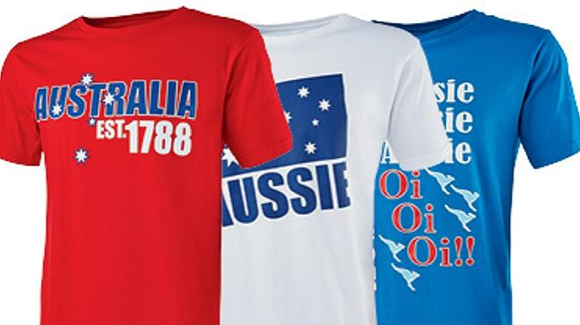 Australians are frequently accused of being racist and interestingly, a few weeks before Australia Day, a debate formed on social media about whether an Australia Day T-shirt design featuring the words “Australia, established 1788” was racist or not. Given the indigenous populations presence long before that date it certainly seemed insensitive but I doubt it was created with that underlying message. Despite this cloud cast over Australia Day this year, I think it is great when countries dedicate a public holiday to celebrating their nation. When I lived in Turkey I always marvelled at the sense of national pride Turks exuded. Ataturk’s words “Ne mutlu Turkum diyene” (roughly translated as “How happy is he who calls himself Turkish”) have lived long beyond the man himself. On a more serious note though, I think the way Australia welcomes newcomers is both admirable and hugely important. Afterall, a large proportion of the Australian population came from another country, or is descended from someone who did. Australia Day always leaves me a little sad that the UK doesn’t celebrate itself, but this year, following three years of living here, it also left me wondering if Australia will one day make an honest woman of me, and I too will decide to marry Australia.